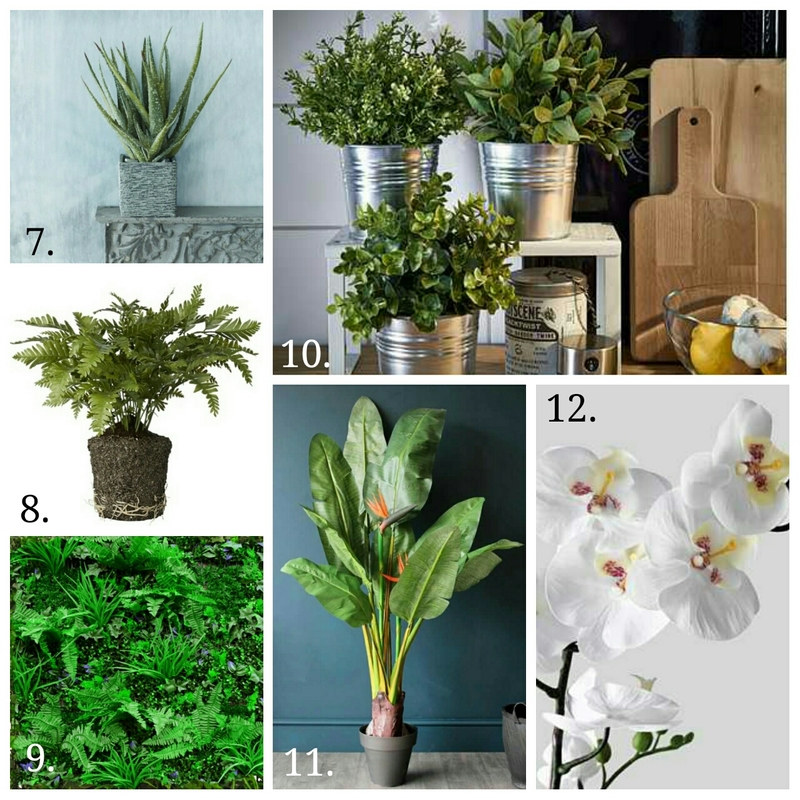 Plants bring life to a home, increasing oxygen levels and are great at bringing calm to a space. But unfortunately keeping them alive long enough to reap the benefits isn’t always easy; over watering them or not giving them enough sunlight is usually the issue. If you are one if these people have you considered faking it?! Now is the time to do it, as stores all over are now stocking great faux plants. Not only are they realistic, but they need no maintaining expect perhaps a little dust every now and again. Today we show you some fab examples and where to get them. A good place to start is with small versions including perhaps an Aloe Vera or a herb [ Ikea have some brilliant examples at very affordable prices ]. Sit them in a ceramic or concrete pot on a shelf mixed amongst accessories and ornaments. Go bigger with a fern or palm tree and place in the corner of a room next to a table perhaps. These can look great in a large woven basket or bag. Prices can vary depending on size and shape but remember they are going to last, so ultimately an investment. If you want to make a statement with faux plants create a vertical garden using panels to build up a wall. This only needs to be done on one wall, but it will be dramatic and totally on trend. Posted on September 9, 2016 September 8, 2016 by home:blogPosted in trendsTagged aloe vera, bring the outdoors in, fake plants, faux, fern, hanging garden, indoor plants, palm tree, plants.